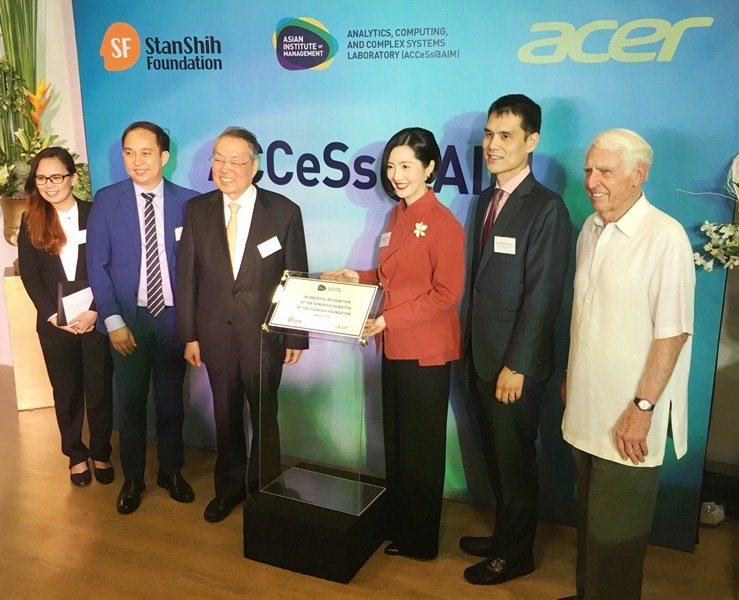 The Asian Institute of Management (AIM), in collaboration with Acer and StanShih Foundation, opened its first corporate laboratory named as the Analytics, Computing, and Complex Systems Laboratory or ACCeSs@AIM. Powered by an Acer supercomputer, the research and development (R&D) facility is designed to promote the use of artificial intelligence, computational models, and data science in addressing the critical issues in various industries, sectors, and government agencies. ACCeSs@AIM's ceremonial opening was spearheaded by AIM Dean Dr. Jikyeong Kang, Acer Group Founder and StanShih Foundation Chairman Stan Shih, AIM-SITE and ACCeSs@AIM Head Dr. Chris Monterola, Acer Inc.'s BYOC Smart Products President Maverick Shih, and ACCeSs@AIM Deputy Director Prof. Erika Legara. 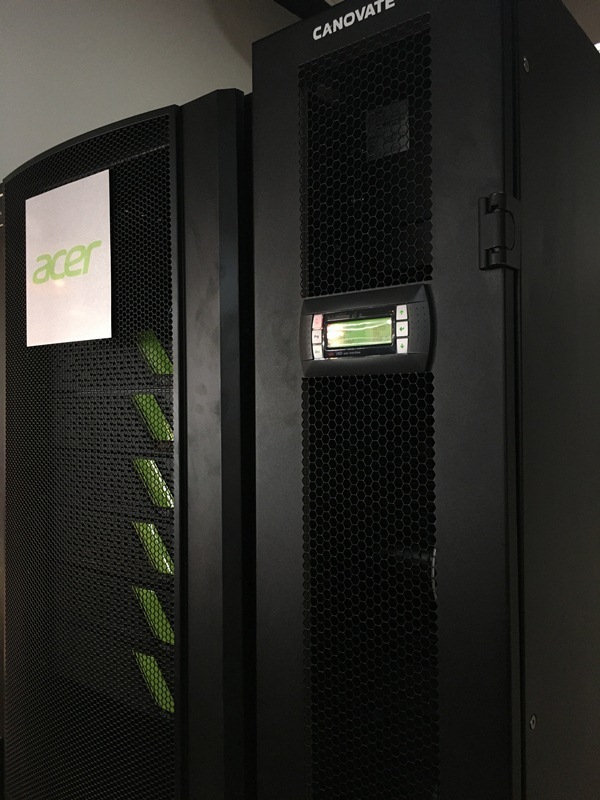 One of the key features of the facility is the Acer AI supercomputer which ranks the second fastest in ASEAN based on the TOP500 list collected by ICCS and the fastest GPU farm in the Philippines, boasting a storage capacity of 500 terabytes (TB) and computing speeds of up to 500 teraflops (TFLOPs). The supercomputer was donated to AIM through the StanShih Foundation. 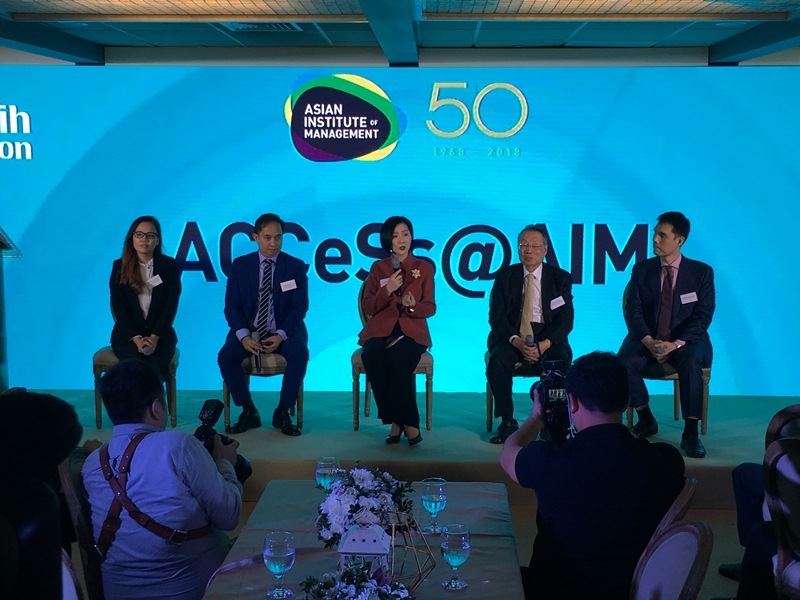 ACCeSs@AIM's launch demonstrates AIM's commitment to contribute to the meaningful growth of businesses and societies, not only in the Philippines, but also in the Southeast Asian region. In addition, ACCeSs@AIM complements the Institute's Master of Science in Data Science (MSDS) program, the pioneering data science Master's Program in the country, and one of the firsts in the region. Categorized under AIM's School of Innovation, Technology, and Entrepreneurship (SITE) headed by Monterola, MSDS is led by Academic Program Director and renowned Filipino data scientist Erika Legara. Classes for its inaugural batch began on March 5, 2018. "By enabling data scientists to work closely with domain experts and individuals familiar with business and management issues, ACCeSs@AIM will create a collaborative ecosystem where business acumen meets data science skill sets. The goal is to empower managers, government leaders, and policymakers to make data-driven decisions," Kang explained. Moreover, AIM's new facility will involve partnerships among the academe, researchers, graduate students, policymakers, executives, and decision-makers to develop projects that will affect businesses and communities. Taking advantage of computing and modeling techniques as strategic resources, these collaborations will improve adaptability, competitiveness, and sustainability. "In today's digital era, data has become the new currency of businesses, but only if organizations know how to use it," said Shih. "Data science turns these complex pieces of information into an organization's competitive advantage, so we need to cultivate this skill in future business leaders. This supercomputer powered by Acer is a major tool in addressing that gap for today's students. Aside from suppporting the academe, this instrument also aims to fuel the practice of established data scientists." "We want to train the next-generation of data science leaders to ask the right questions, as well as mine, refine, and convert data into information that will greatly benefit businesses and communities in the era of Industry 4.0," explained Monterola. " By the time they complete their degree with us, our students will have a better appreciation of the term 'intelligence' when linked with the term 'business'," Monterola added. Furthermore, Monterola revealed that ACCeSs@AIM will have projects with companies such as Analog Devices, Ayala Corporation, and Security Bank in the coming weeks. AIM's MSDS program is sponsored by Aboitiz Group, ATRAM, Ayala Corporation, Bangko Sentral ng Pilipinas, Mindanao State University-Iligan Institute of Technology, Mynt, Security Bank, SM Group, and UnitedHealth Group/Savvysherpa.